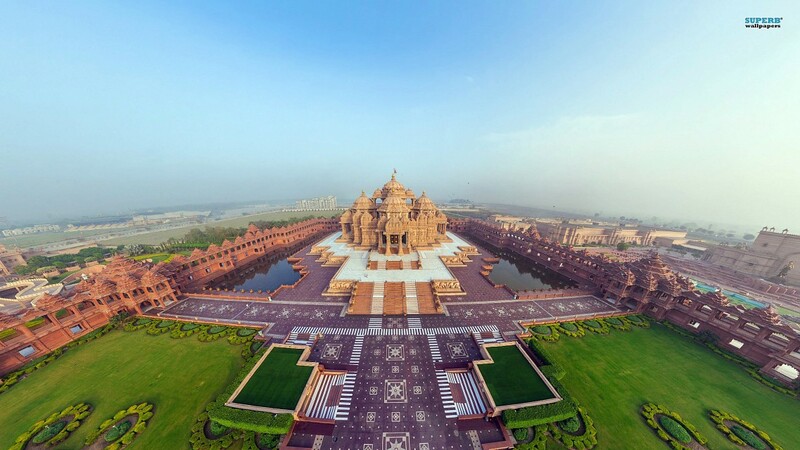 Akshardham in Delhi, India, is a modern Hindu temple complex that has drawn worldwide attention because of its construction based on the ancient Indian architectural concepts of Vastu Shastra and Pancharata Shastra. 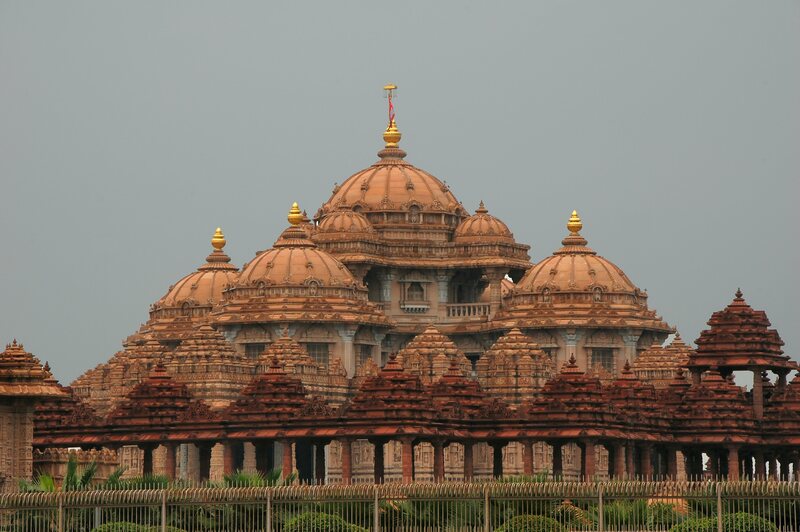 It is estimated that more than 70% of tourists who come to Delhi, visit the Akshardham complex. Spread over 90 acres (approximately 370,000 square meters) of land provided by the Delhi Development Authority and the State Government of Uttar Pradesh, the complex exhibits the ethos of India over the millennia. The architecture highlights diversity of the style and the cultures of the people of India while highlighting the spirituality and religious tolerance, along with exhibits of historical significance. 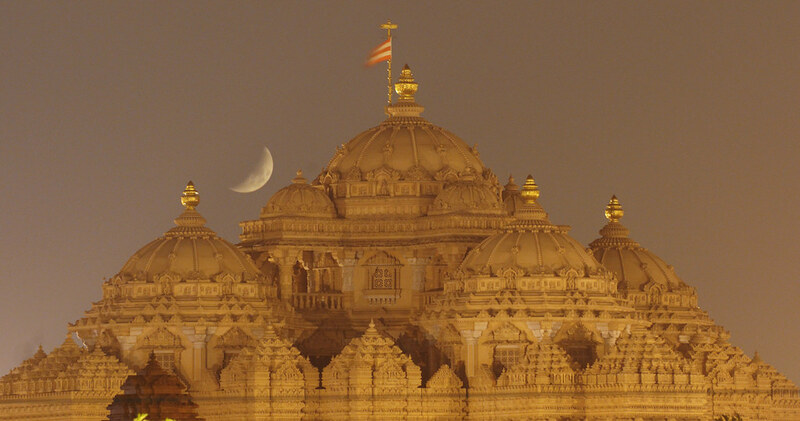 On December 17th 2007, the BAPS Swaminarayan Akshardham was presented with the Guinness World Record for being the “World’s Largest Comprehensive Hindu Temple”. The temple stands out from the rest of the equally impressive temples in India because, besides the use of Vedic principles in its construction, modern technology is used brilliantly to highlight diverse values and cultures of a very complex country that is India. 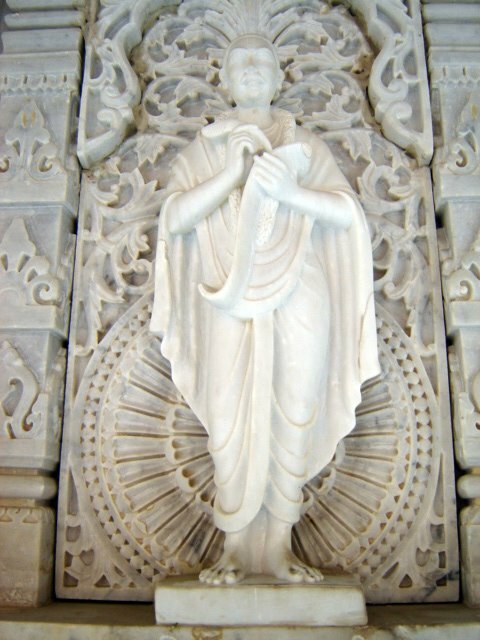 Referred often as the Delhi Akshardham, or the Swaminarayan Akshardham, the temple is the result of the untiring efforts of Pramukh Swami Maharaj , the spiritual head of Bochasanwasi Shri Akshar Purshottam (BAPS), Swaminarayan Sanstha, who wanted to fulfill the wishes of his Guru, Yogiji Maharaj. The former spiritual head of the BAPS, Swaminarayan Sanstha, had expressed his desire to build a grand temple on the banks of the Yamuna River, to commemorate the life of Swaminarayan, also known as Sahajanand Swami. Yogiji Maharaj, who had communicated with a few devotee families about the temple in 1968, died in 1971. 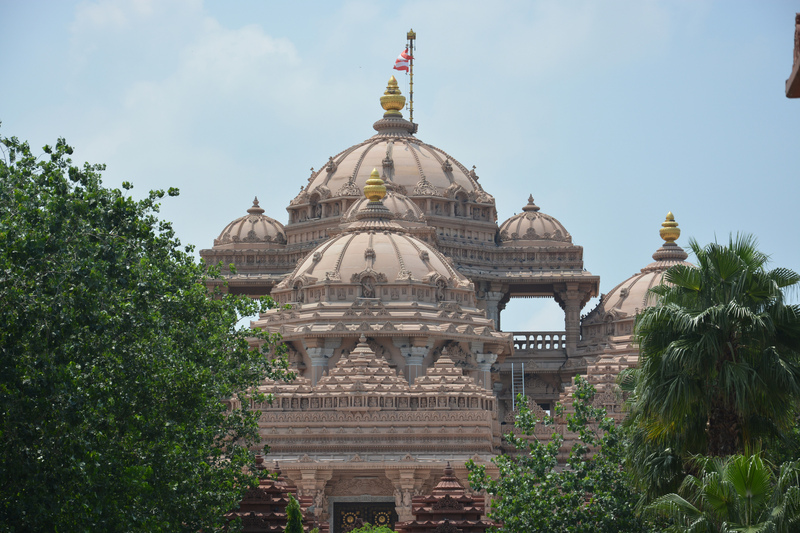 His successor, Pramukh Swami Maharaj, set about the task of bringing to fruition the wishes of his guru. After 18 years and several requests later, the Delhi Development Authority granted 60 acres of land. With the Uttar Pradesh state government pitting in with another 30 acres, the Sanstha had enough land to commence the project in 1982. The construction began on the 8th of November 2000 and the temple was inaugurated almost five years later, on the 6th of November 2005. The temple is designed strictly on the principles of Pancharatra Shastra, a Vedic scripture on Hindu architecture. Eight Sadhus, scholars, who were proficient in Pancharatra Shastra, were designated to design the complex in consultation with Pramukh Swami Maharaj. 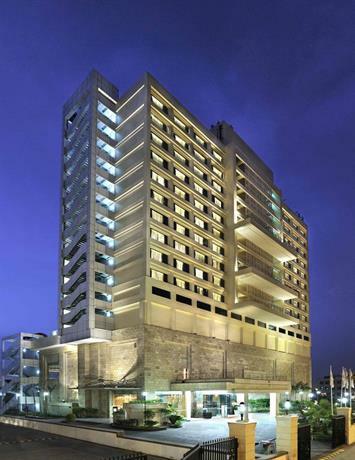 Many of them were also involved in the construction of Akshardham in Gandhinagar, Gujrat. They did the necessary research on the architectural styles of other idols, temples and other buildings built between the 8th and the 12th centuries, and supervised the carving of every stone and idol that was used for the construction of the temple. The research covered buildings in Jodhpur, Jagannath Puri, Konark Sun Temple and even Angkor Wat in Cambodia. The first sculpted stone for the complex was laid on the 2nd of July, 2001. 3,000 volunteers assisted 7,000 master craftsmen and carvers during the five years of construction. Thousands of tribal women and farmers, who were affected by drought in the region, received gainful employment on the temple site. 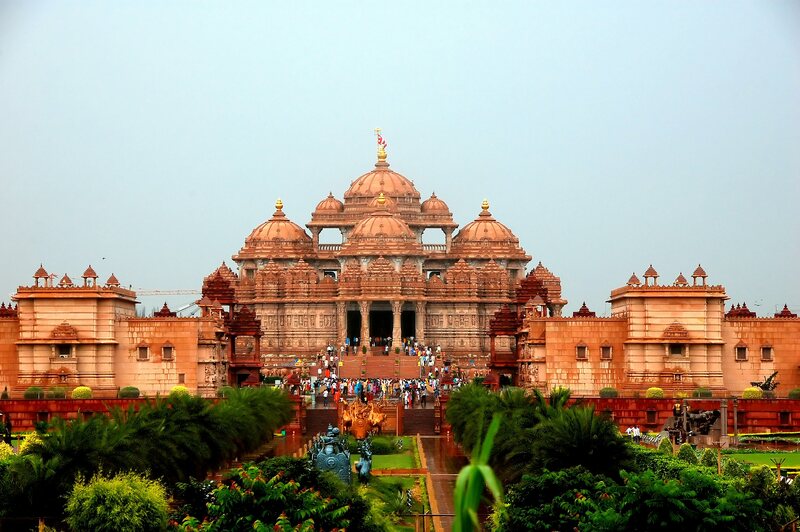 Akshardham was consecrated on the 6th of November 2005 by Pramukh Swami Maharaj, in the presence of the then President of India, Dr. A. P. J. Abdul Kalam Azad, who dedicated it to the nation and the Prime Minister of India, Dr. Manmohan Singh. Constructed entirely from pink sandstone mines of Rajasthan, 311 miles from Delhi, and Carrara marble imported from Italy, the monument is 141 feet high, 358 feet long and 141 feet wide. The 234 ornately carved pillars and nine domes exhibit the diverse Indian architectural styles. The monument is designed to comply with Stapathya Shastra, an ancient Vedic text on architecture. The whole building is built without any support from concrete or steel, and houses more than 2,300 murtis and statues of acharya s, sadhus and devotees of Hinduism. A 11 feet high statue of Swaminarayan, along with the statues of the other gurus of the sect, are placed below the central dome of the monument. Also in the area are murtis of other Hindu deities like Sita and Rama, Radha and Krishna, Parvathi and Shiva and Narayan and Lakxmi. All statues and murties are constructed of five metals called Panchdhatu in accordance with the vedic, Shilpa Shastras. At the base of the temple is the Gajendra Pith, a pavilion to salute the role of the elephant in Indian traditions and in the Hindu culture. The pith is made of sculptures of 148 life size elephants and believed to weigh a total of 3,000 tons. A garbagruh (inner sanctum), was added to the main monument in July 2010. It includes a decorated sihasan (throne), with a murti (idol or image portraying a divine spirit) of Swaminarayan on it, and is intricately carved with gold leaf designs. Sahajanand Pradarshan (Hall of Values) displays the life of Swaminarayan by using life like robotics and dioramas. It also seeks to propagate his message of peace, harmony and humility, devotion to god and service unto others. Light and sound effects, fiber optics, dialogues and music are brilliantly combined to display 15 robotic dioramas in an 18th century setting. 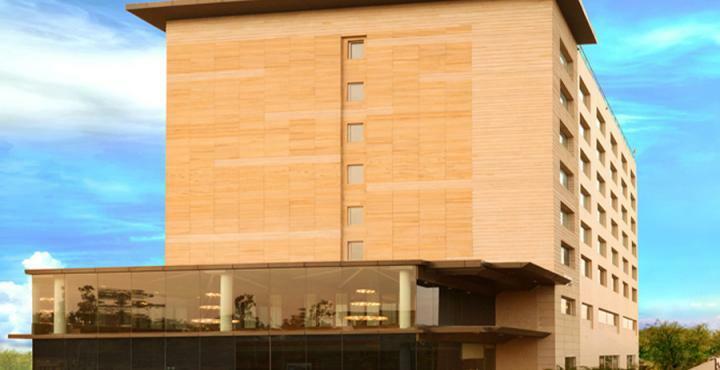 The theater has Delhi’s first large format screen measuring 85 feet by 66 feet. Known as Neelkanth Kalyan Yatra, a 27 feet statue of the young Neelkanth Varni greets the visitors as they enter the theater. It shows a specially commissioned film on the seven year pilgrimage throughout India, of a teenage Swaminarayan, then called Neelkanth Varni. BAPS Charities released Mystic India, an international version of the film in theaters around the world in 2005. The Yagnapurush Kund is India’s largest step well with a series of 2,870 steps leading down to a eight petaled, lotus shaped yagna kund (a place for offerings in ritual fire to the deities). While visitors use the steps of the well for rest and respite from the summer heat during the daytime, the fountain, measuring 299 feet by 299 feet, is used as a musical fountain at night to project a show on the circle of life to audiences. Bharat Upavan (Garden of India) has in its bronze statues of India’s who’s who. It includes national heroes, freedom fighters, warriors, women and children. Lush manicured lawns, trees and shrubs from all over India make the garden an interesting place to visit. Yogi Hraday Kamal (in this context the gems from the hearts of egoless philosophers), when seen from above is in the form of a lotus. A closer look will reveal large slabs of stone engraved with quotations from Martin Luther King, Shakespeare, Swami Vivekananda and Swaminarayan. 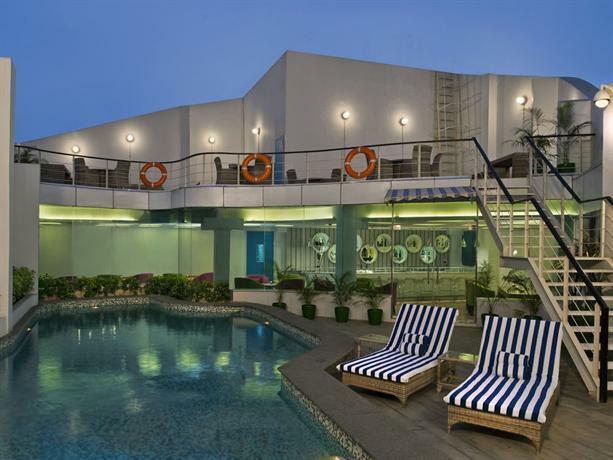 Neelkanth Abhishek, Narayan Sarovar, Premvati Ahagruh, AARSH Centre are other places of interest in the complex. 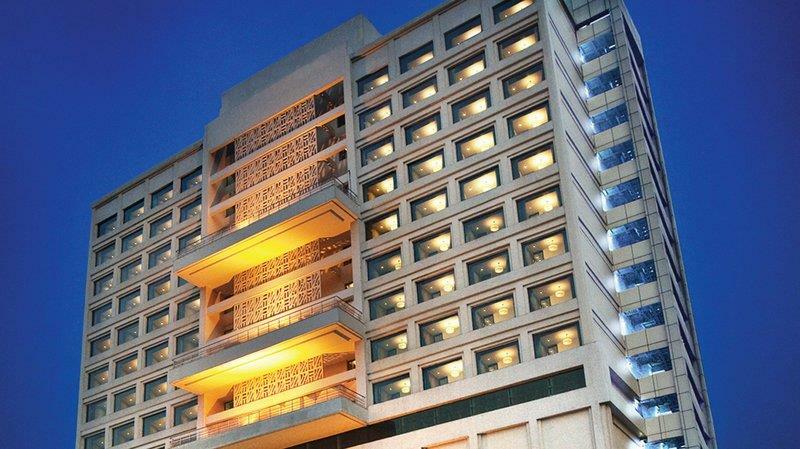 The complex is just 656 feet away from the Akshardham Metro Station. It is open on all days, except Mondays, from 9.30 AM to 6.30 PM. Exhibitions in the various halls are open from 10.00 AM to 5.30 PM. Entry into the complex is free. Visitors who wish to see the exhibition will have to pay a fee of ₨ 170 ($2.72) (for children ₨ 100 ($1.60) and those above 65 years of age ₨ 125 ($2.00)). A trip to the Musical Fountain will be charged at ₨ 30 ($0.48) per person, ₨ 2 ($0.03) for children below 11 years and with children below 4 years of age are let in free. Paid parking facilities, cloakroom, photo booths, and wheelchairs are available upon enquiry at the reception. There is a food court, books and gift outlets for the purchase of publications, gifts, and mementos. 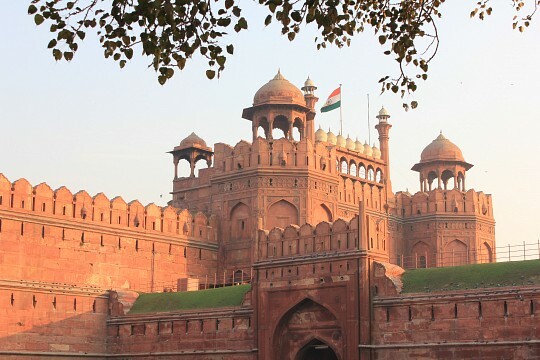 Delhi, being the capital city of India, is well connected with the other major cities in India as well as the rest of the world. 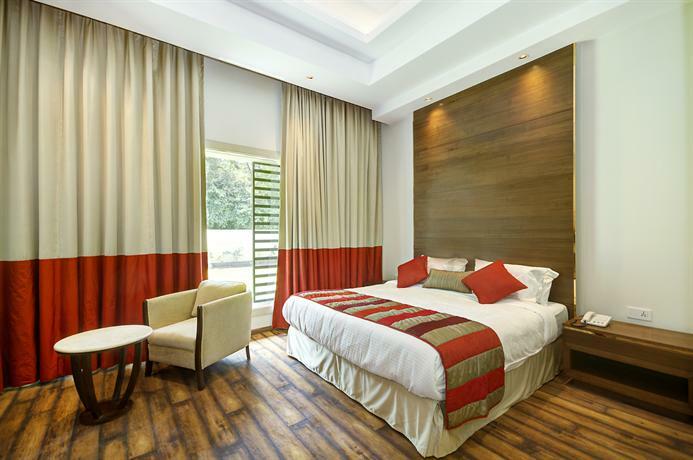 Accommodation is plentiful, and there are many other places that will interest a tourist, including the Red Fort, Kutub Minar, Lotus Temple, India Gate, Rashtrapathi Bhawan (Presidential Palace), and Humayun’s Tomb. 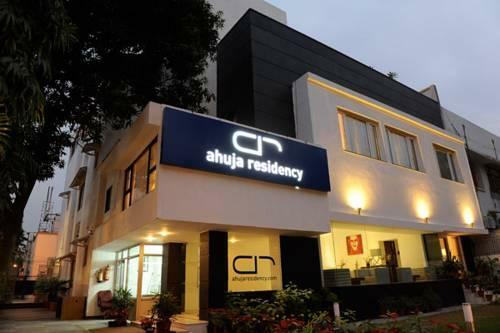 Agra with the incomparable Taj Mahal is just a six hour drive from Delhi, and so are many other cities of major sightseeing and historical importance.